The stock was up 3% to Rs 301, outperforming the market by surging 16% in past three months, as compared to a 2% gain in S&P BSE Sensex. 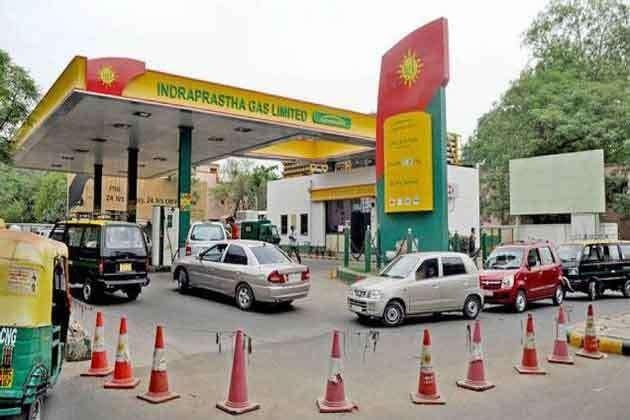 Shares of Indraprastha Gas (IGL) were up 3 per cent to Rs 301 apiece on BSE in the early morning trade on the expectation of healthy performance during the quarter. The state-owned company is scheduled to announce its October-December 2018 quarter (Q3FY19) results on Wednesday, February 6, 2019. IGL was trading at its highest level since August 10, 2018. The stock is 6 per cent away from its 52-week high level of Rs 320 touched on August 2, 2018. Analysts at Prabhudas Lilladher expect IGL margins to be maintained led by price hikes in the quarter. The volume momentum will also be maintained. “We expect IGL's EBITDA (Earnings before interest, taxation, depreciation and ammortisation) to increase by 16 per cent year on year (yoy) led by 8 per cent growth in volumes and sharp expansion in gross margins,” Kotak Securities said in December 2018 quarter earnings preview. "We assume volumes at 5.7 mcm/d versus 5.3 mcm/d in Q3FY18 and unit EBITDA at Rs 5.8/scm versus Rs 5.7/scm in Q2FY19 and Rs 5.4/scm in Q3FY18," it added. IGL would continue witnessing lower double- digit volume growth due to the focus on pollution, intercity travel, the takeover of Gurugram, and implementation of BS-VI, Motilal Oswal Securities said in Q3FY19 highlights. We expect volume growth to continue for city gas distribution (CGD) players. IGL had taken a price hike on 1 Oct’18, which reflected an exchange rate of Rs 74. Since then, the rupee has appreciated, which is likely to result in margin expansion for the quarter. We prefer IGL among CGD players due to higher longevity of volume growth compared to Mahanagar Gas Limited (MGL), and a higher share of CNG v/s PNG, supporting stable EBITDA/SCM, the brokerage firm added. In the past three months, IGL has outperformed the market by surging 16 per cent from a level of Rs 259 on the BSE. In comparison, the S&P BSE Sensex was up 2 per cent during the same period. At 09:58 am, the stock was trading 2 per cent higher at Rs 299, as compared to a 0.12 per cent decline in the benchmark index. A combined 1.43 million equity shares changed hands on the counter on the BSE and NSE so far.